Anonymous social networks: who needs a Facebook alternative? There is a growing need for more privacy and better control over one's personal information on social networks. The recent government surveillance scandal involving the NSA's PRISM program has attracted a lot of attention around the globe. One obvious way to protect your information is to avoid attaching your name to it. 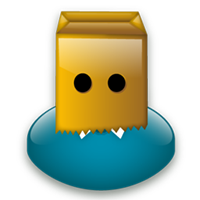 Of course, anonymity (or, more precisely, pseudonimity) is possible on any social network, including Facebook. When you are asked for a name, you can always bend the rules a little and supply a fake one. This is not a uncommon practice on Facebook today, especially among teens. In the past few years there have also been attempts to build a social network without names, anonymous by design. Can a social network be anonymous? After a decade of Facebook, “anonymous social network” may sound strange or self-contradictory. But, in fact, there are a few of them out there right now. You've got your Social Number, Duvamis, Unface.me and Spraffl (an iOS app). All of them have received a decent amount of attention from the media (Social Number was covered by CNN, for example). However, none of these social networks have gained any significant popularity so far. Anybeat, a richly featured anonymous social network launched in 2011 by Dmitry Shapiro, a former CTO of Myspace, also failed miserably. Despite raising a cool $1 million in funding, it did not attract enough users to stay afloat and was shut down just eight months later. It just does not seem like the demand for an anonymous version of Facebook is there. But that does not mean anonymity has to be boring. Take Whisper, for example. It's an app for sharing and discussing ‘secrets’ with strangers anonymously. And it is popular. Unlike the anonymous social networks mentioned above, anonymity is not the key distinguishing feature of Whisper. Rather, it is a building block required for the app's concept to work. The concept itself is what makes Whisper interesting and attractive, not the anonymity per se. Does Flyner have a future? Flyner is not an anonymous Facebook replacement. It is not a social network, it is probably more like Omegle, a random chat with strangers. Anonymity here arises from the absence of a name field anywhere on the site, although you could sign your notes (posts) if you so wished. The success of Flyner will depend on whether the users will enjoy its unique aspects and dynamics. The key ones, perhaps, being 1) multiple parallel conversations, and 2) conversations that continue for days or even months. Flyner brings a new format for engaging in dialogue with strangers over the Internet. As such it is certainly something to try for yourself.